This 584 page research volume was published through Defender Press by Tom Horn in November of 2011. It includes complete texts of The Book of Enoch (Translated by R.H. Charles), The Book of Jasher (Translated by J.H. Parry & Company), and The Book of Jubilees (Translated by R.H. Charles). 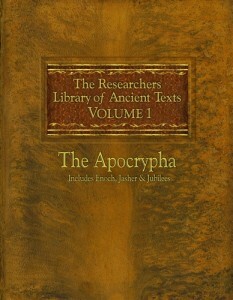 It also includes the 14 ancient texts that comprise The Apocrypha. Those books include: 1st & 2nd Esdras, 1st & 2nd Maccabees, Tobias, Judith, Wisdom, Sirach, Baruch, Susanna, the Prayers of Azariah and Manasseh, Bel and the Dragon, and Laodiceans. 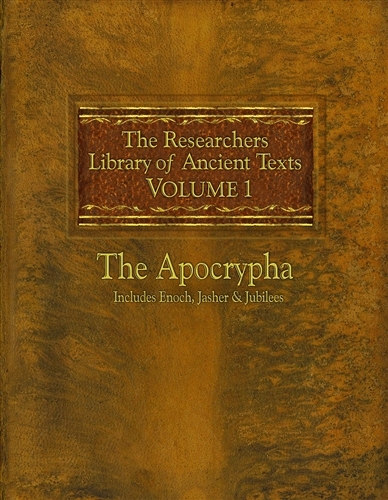 When it comes to a collection of ancient texts, this is a great resource to have at your finger tips. The volume is formatted as an 8½ x 11 inch layout that ends up being 1½ inches thick, but the type is set in dual columns with a sizable font that makes for easy reading. I often find myself sitting and reading through page after page of Jasher, Enoch, Maccabees or one of the other sections much in the same way someone might read through a novel for enjoyment. For someone who is familiar with the Old Testament text, there is so much additional history that can be brought to life by reading through some of these older manuscripts. These texts were not included in the canon of scripture, but that does not mean they should be overlooked or discarded by those seeking to learn more about their faith. While the are not consider to be inspired works, they still bring considerable value and insight as ancient historical works.